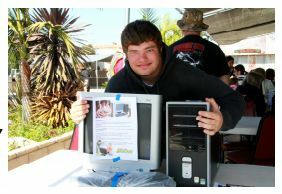 If you are an associate of The Foster Care Auxiliary & you have a Foster youth, age student under 20 years who would like his or her own computer, have them write a short essay on why they would like one. Child must be a student and currently placed as a foster child in your home. Computers are rebuilt – not more than 4 years old with current Programs. Computers are to be the property of the foster child and must stay with the child if current placement changes. Essay can be 1 sentence to 1 page long, based on the youth’s capabilities. Send to: (be sure to include foster parent name, email & phone) Foster Care Auxiliary Computers, 333 S. Brookhurst , Anaheim, CA 92804 Or scan it and send it via email to FosterCareAux@yahoo.com.